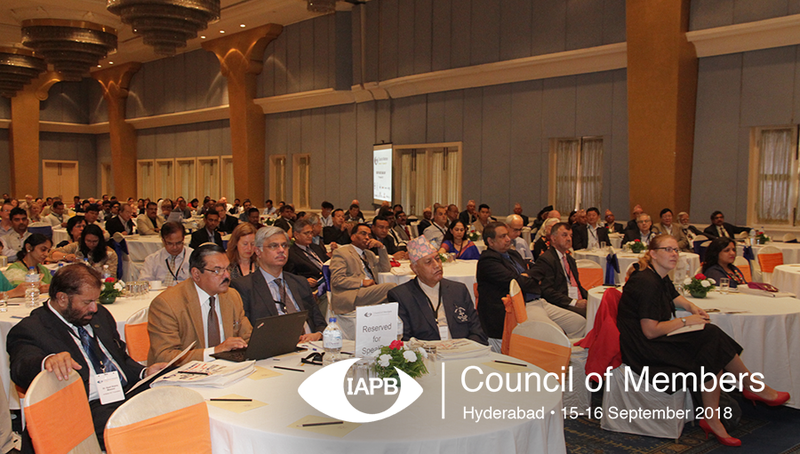 Access the full programme for IAPB Council of Members 2018 below (you can read about the Committee and WorkGroup meetings here). There are many exciting opportunities for members, including work groups for in-depth discussions and Key Opinion Leaders to lead the sessions. You can download PDFs from the links below, or view the full programme (scroll down). Schedule to be confirmed soon and will be published shortly. The board of trustees is the key governing body of IAPB, setting strategic priorities and overseeing the implementation of IAPB’s strategic plan. By coming together in an IAPB Work Group, members will leverage IAPB’s brand and networks to maximise the impact and reach of their shared knowledge. Participating in work groups is also a great opportunity to learn new ideas from respected peers and deepen personal and organisational networks. Early Bird Session: Introduction to IAPB Membership: So what can IAPB do for me? WHO Patient Safety and Treatment Outcomes: Where are we? Principles and Practices of Inclusive Programming for Eye Health. Sustainability: Practices today for tomorrow. Low Vision Care: Why low vision services struggle to deliver expected outcomes? What can be done to improve the outcomes?